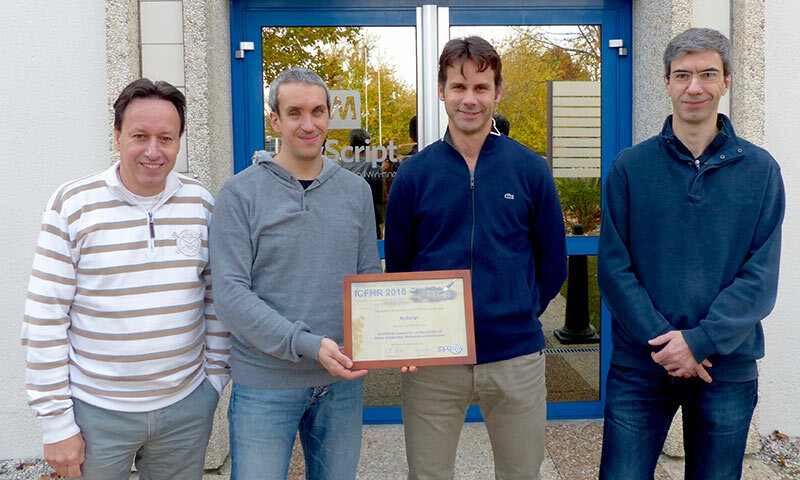 NEW YORK CITY – Nov 10, 2016 – MyScript, a pioneering market leader in accurate, high-performance handwriting recognition and digital ink management technology, was named the winner of the CROHME 2016 awards competition for online handwritten mathematical expression recognition. The Competition on Recognition of Online Handwritten Mathematical Expressions, better known as CROHME, is an annual competition organized by the University of Nantes, the Rochester Institute of Technology and the Indian Statistical Institute as part of the International Conference on Frontiers in Handwriting Recognition. This year’s event took place in China and once again MyScript was the top ranked company for each of the mathematical handwriting recognition tasks organized during the competition, including: formula, symbol, structure and matrix recognition. MyScript achieved the highest recognition rates, with a large margin compared to the other participants, for formula recognition and other recognition tasks essential to converting mathematical expressions into digital form. This achievement is especially significant as it represents the recognition capabilities provided by available SDKs for a broad range of mathematical inputs. MyScript’s leading developer kits provide for a variety of handwriting recognition capabilities that interpret the meaning of a users’ handwritten input in real-time through machine learning and neural network techniques. Utilizing the MyScript application programming interfaces, developers can incorporate multiple handwriting recognition engines, including text, math, graphics and music into an application. These exceptional human machine interface benefits can be seen in apps such as MyScript Calculator or MyScript’s notetaking application, Nebo. Additionally, educational institutions like Khan Academy have converted over 175 million mathematical equations using MyScript’s Math technology. These development tools are available free of charge for noncommercial use on MyScript Developer. Developers are invited to build applications using APIs available in either the MyScript Cloud Development Kit for websites or Application Toolkit for native mobile apps.